While she didn't share quite the same opinion on Edogawa, she saw no reason to voice a disagreement, as she conceded that Jama and Yajinden knew the Miya better than she did. "Hm, then what of this agreement that there should be an Imperial on Gusai-san's ship? We are running short on Imperial members to appoint to a similar position, after all, unless you are of the mind that we should not be tied down to a former arrangement when we must adapt to the current situation?" Utsusemi sounded a little intrigued at the idea that they might alter the deal struck with the Mantis captain. "We shall enter a new stage of Imperial exploration efforts soon enough, and we must think ahead. The grooming time is over, the force needs to maturate. Extended trust and authority are a natural consequence. It remains to be seen whether Gusai-san can find sensibility in him to adjust to the new framework in a satisfactory way. I shall talk to him soon enough. It is very detrimental for our efforts if conflicts like this are allowed to fester." "Hmm, yes there has been some talk of where to proceed from here," Utsusemi nodded thoughtfully. "Some speak of continuing on to new shores... so there is going to be quite the changes to the roster on the ships once such plans become more solidified." "Does Hantei-no-kimi plan on returning home soon, or continuing onward from here to new places?" "Hantei-no-kimi will surely be returning. I, on the other hand, will likely continue east. There will be necessary reassignments, yes." "Oh?" she was more surprised over Yajinden continuing further without Jama, than she was about Jama returning. "I admit, Asahina-sama, I am surprised you will be continuing onward." Utsusemi raised a sleeve to hide her surprise, as she still had no suitable replacement for the fan she had lost. "Few could serve Hantei-no-kimi as well as you do, after all. It must be hard for him to be separated from such a dutiful retainer." "I have a growing confidence in Seppun Kaiya-san as a suitable replacement for the missions Hantei-no-kimi has wanted me for. This voyage has demonstrated talent among the Explorers the Prince would like to incorporate into his agendas. So it is only natural that he looks for a greater number of competent and loyal retainers to execute his will." 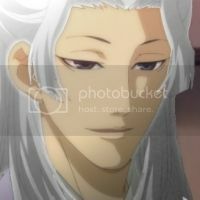 Yajinden smiled gently. "From my experience with Seppun-san, I will agree that she seems a very competent young woman who will serve well," Utsusemi nodded in agreement. The Seppun girl was still young, but she showed a great maturity for her age, no doubt because of her difficult circumstances, she reasoned. Kaiya just deserved a better marriage prospect than what she was currently saddled with. Something that could hopefully be changed upon returning to Rokugan as the retainer of Jama. 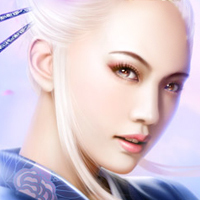 "It is good to see honourable samurai as her rise to prominence in service to the Imperial families." "It is. Through his involvement in the Colleges the Prince has always been committed to a vision of the young generation bringing about the foundations of a better and greater Empire." Yajinden agreed with a smile, playing with his flower. "Mhm," she agreed with a soft tone. "However, much of that stands at the risk of being undone, as not everyone agrees that the colleges are a good influence on promising young samurai." Of course, she could not say it outright who was the risk to that happening, but they both knew. "Returning home will not be without it's dangers, most likely, considering what the Explorers might have missed of the current events." "We all need to have faith in the wisdom of the Son of Heaven over how best to secure His legacy." Yajinden nodded thoughtfully. Utsusemi nodded as well, a touch reverently at the mention of the Emperor. "Well, we certainly live in interesting times, as the Lion would say. Though even with that, I am looking forward to returning home... not that I have not enjoyed the new sights and experiences, but I find there is much I miss about about home. The weather at least being one," she added with some light humour to the subject. "Ah, the vicious peril of suntan." Yajinden giggled behind his flower he used as a proxy fan. "I imagine you miss your children very much." "The perils of suntan indeed," she agreed with a soft giggle of her own. "... I do," Utsusemi nodded, her voice wistful. "It is hard not to. Do you not miss home yourself, Asahina-sama?" "There is not much to miss these days, Agasha-san, after the Crab burned my hometown." He looked away for a moment. "I suppose it makes accepting the Navy as my home all the easier." "Home is more than just the buildings," she offered softly, her tone comforting. "A crane is a bird of water, so to make your new home on the waves, would be a poetic turn." "You seem to adapt much easier than many others have. Myself included." "There is indeed something lyrical in seeing it this way. Perhaps this is how I will conceive of it from now on. However, it is somehow reflective of some ongoing debates within my family, between existentialists and transcendentalists. I don't know how familiar you are with them." "I can't say I'm familiar with the subject..." her family line was mostly Doji and Kakita, and had not really had strong connections with the Asahina. "Perhaps you would indulge me for a moment to elaborate?" "To put it simply, the discoveries about the world and the rapid changes in the Empire of the last half-century have caused different responses in my family. Some, and Kamatari-ue among them, are seeking answers to the shifts we are observing in alterations of spiritual cosmic balance. Hence the seclusion and distancing from mundane affairs which may cloud that astrological discernment." Yajinden smiled without any judgement. "But some of us have taken a different path, those brought up in urban coastal areas like Jukami Mura. Our proficiency with tsangusuri and enhanced crafts in general has brought about our curiosity in the natural world and a penchant for disciplined, calculation-based discernment of the elements and their transformations. That line of thought was most prominent when Asahina Anzai led the family. Many lines of common inquiry were formed between him and Agasha Kyoso, and while their betrothal fell apart for the sake of consolidating ties within the Crane Clan, the quiet effort has continued. Your marriage was one such example to bring the Agasha and their ingenuity back into working with us. Friendships have been cultivated onto this day, like between my parents and Ryuden-san's that he and I have gladly inherited. Accumulated insights into the properties of various forms of physical existence have only benefited Asahina crafts and inventions, and we have had some successes in studying supernatural phenomena scientifically, building on the works left by Miroken-ue and Anzai-ue. As you can guess, I am an existentialist, and so is Asahina Tori." Yajinden looked down. "The destruction of Jukami Mura is the destruction of years of work of many of my kinspeople. Recorded data, laboratories, unfinished experiments. I don't know the full extent but that pushes us back a decade or so. The Crab hit where it hurt." Utsusemi thoughtfully admired the colours of the blossoms as she listened to Yajinden, appriciating the perspective he was providing. Damn Crab... why was it that even many gaijin seemed to have more tact and understanding than those brutes did. "Hm... it is not impossible that the Agasha could provide help to the Asahina in regards to what has been lost. Though, it is difficult to say now so far away from home, but seeing how you will be continuing onward, and I will be returning home, I see no reason not to make an effort for it." "Now that the city must be created anew, there are many possible futures. The Dragon are in a peculiar position in which their progressive mindsets align them with the goals of exploration but cannot fully act on it for the lack of maritime holdings. The Tortoise have been a good avenue but Saionji-ue is likely to sail east, and Zazu is Crab-orientated, so they remain a problematic solution."